Summer is a time for travel, and Norway is at the top of everyone’s vacation list, and this week’s Barneblad is all about Norwegian geography. The country name “Norway” means “Northern way” or “way leading to the North” because of where it is located on the world map. There are two names for Norway in Norwegian. 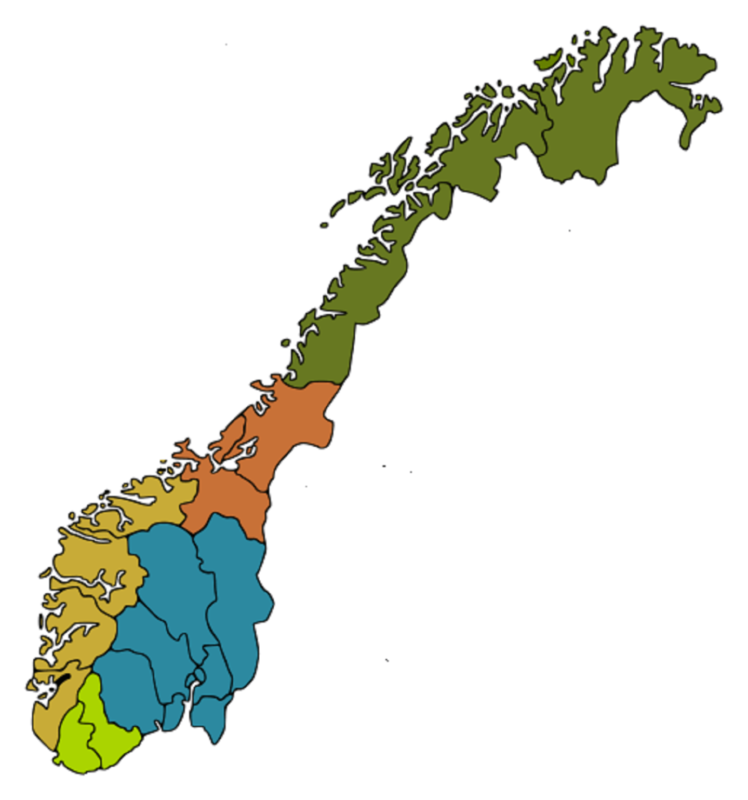 In Western Norway, many people speak nynorsk (New Norwegian) and say Noreg, while in other parts of the country, bokmål (literally “book tongue”) is spoken and Norge is said. Norway is nearly as big as California and twice a big as the state of Florida. Today about 5.3 million people live in Norway. In contrast, California has over 39.5 million people, and Florida has nearly 21 million. The total population of the United States is over 325.7 million. This area covers about a third of Norway and extends far above the Arctic Circle. The largest city is Tromsø, known for its old wooden houses and it beautiful modern Arctic Cathedral. Northern Norway is a place of extraordinary beauty, including the Lofoten islands, with their dramatic peaks. It is also the land of the Northern Lights. Fishing and whaling are an important part of life. The Sámi people live in the far north. Many of them herd reindeer and speak their own language. 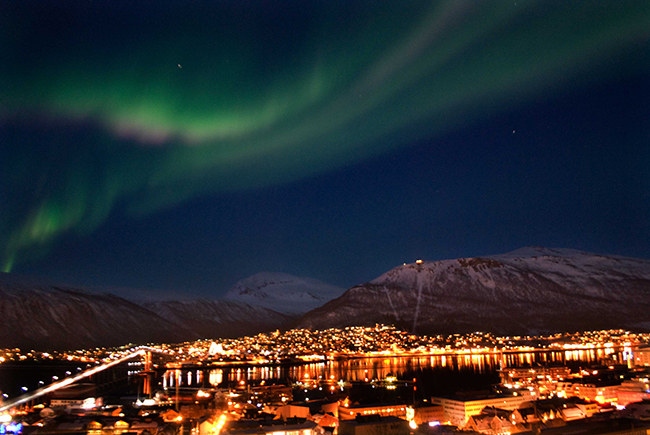 The Northern Lights seen over Tromsø. This region is in the center of Norway, as its older names imply. The largest city is Trondheim, once the home of the Norwegian kings, with its famous Nidaros Cathedral. Here is some of Norway’s most fertile farmland, producing high quality meat and milk. 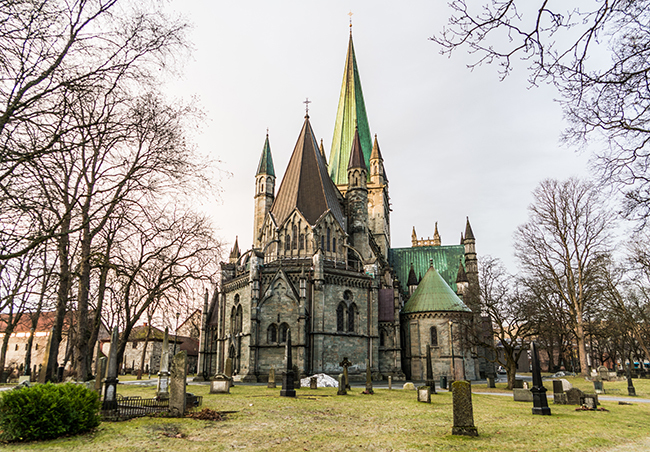 Trondheim with its famous Nidaros Cathedral was once the home of the Norwegian kings. This is the region along the Atlantic coast of southern Norway. Bergen is the largest city in Western Norway and the second-largest city in Norway. It is famous for its old harbor, Bryggen, with its quaint wooden houses. Fishing and forestry are important industries, and the oil capital of Norway is Stavanger, the second-largest city in the region. 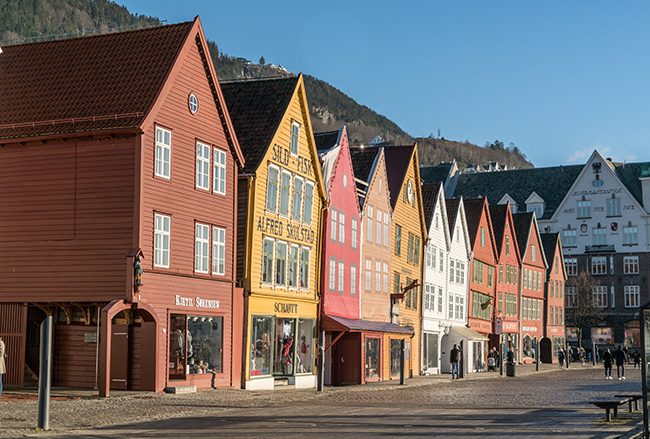 Bergen is famous for its old harbor, Bryggen, with its quaint wooden houses. Most Norwegians live in Eastern Norway. 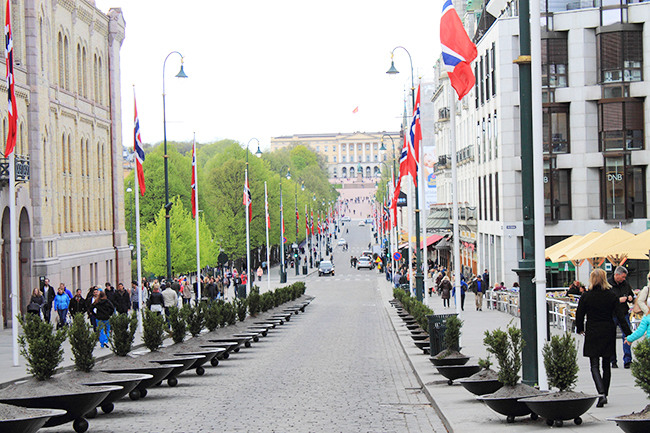 The country’s capital, Oslo, is Norway’s largest city, and the royal family has its main residence there. Many industries offer good jobs for Norwegians from all over the country, and most immigrants work here too. Skiing is very popular. The city of Lillehammer became famous when it hosted the 1994 Winter Olympics. The country’s capital, Oslo, is Norway’s largest city, and the royal family has its main residence there. This is the region along the southern coast of Norway with Denmark to the south. Kristiansand is the largest city in this region. Here are many large valleys, from the mountains to the south and east to the sea. Major industries are forestry, farming, and tourism. Ferry boats provide easy access to Denmark for summer vacationers, and there is good skiing during the winter months. The Lindesnes Lighthouse is Norway’s oldest. 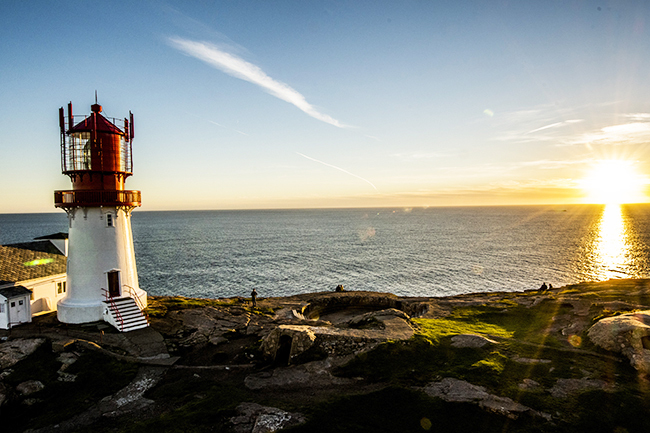 The Lindesnes Lighthouse is Norway’s oldest. 1. Norway is twice as big as California. 2. Most Norwegians live in Northern Norway. 3. Trondheim was once the home of the Norwegian kings. 4. Bergen is the oil capital of Norway. 5. The Sámi people live north of the Arctic Circle. 6. Most immigrants live in Stavanger, where jobs are plentiful. 7. Kristiansand is famous for the Nidaros Cathedral. 8. The royal family has its main residence at Jotunheimen. 9. Oslo is the capital of Norway. 10. Lillehammer became famous for the 1994 Summer Olympics. Norway is the land of mountains and fjords.